When you need an SUV with a 3.5-liter, DOHC 24-valve, V6 engine that has multi-point, direct fuel injection, a continuously variable valve timing control system, and Nissan direct ignition system with iridium-tipped spark plugs all standard, then you need a new 2017 Nissan Pathfinder. Find your next new Nissan at Vann York Nissan near Winston-Salem, NC, where the Pathfinder SL is available with independent strut front suspension, independent multi-link rear suspension, and electronic, hydraulic power-assisted speed-sensitive steering. The Pathfinder is the rugged vehicle you want that still provides comfort, safety, and style. We all know, it's what's on the outside that counts. Style appointments on the exterior of the Pathfinder Platinum include smart auto headlights, LED low-beam projector headlights, and body-colored rear spoiler. If you're looking for dual power outside mirrors with LED turn signal indicators, then the Pathfinder S is the SUV for you. 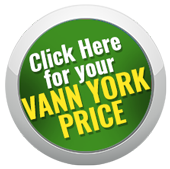 At Vann York Nissan, you're sure to find the new Nissan Pathfinder that meets your needs. Especially if you like front UV-reducing solar glass and rear privacy glass, which is available in the Pathfinder S, Pathfinder SL, and Pathfinder Platinum models to name a few. To get behind the wheel of a 2017 Nissan Pathfinder, contact Vann York Nissan near Winston-Salem, NC, then climb into your next new Nissan. Our knowledgeable sales associates proudly serve drivers near Greensboro, NC, and will showcase all of the amenities found in the new Nissan Pathfinder! Even those on the inside. When the time comes for you to take home a new SUV, our Nissan dealership is here to help with financing options. So speak with our sales and finance associates today to discover more about blind spot warning system available on the new Nissan Pathfinder SL. The Pathfinder continues Nissan's commitment to safety by making the Nissan advanced airbag system with dual-stage supplemental front air bags standard on every Pathfinder. The traction control system and active brake limited slip also come standard. If you want rear cross traffic alert and blind spot warning, then you'll need to upgrade to the Pathfinder SL. Take out a new Nissan Pathfinder from at Vann York Nissan near Winston-Salem, NC, for a road test today. If at any point you need to perform maintenance, routine or otherwise, your Nissan dealership will be here to help you schedule service. Visit us today for a competitive price on your next new Nissan Pathfinder!